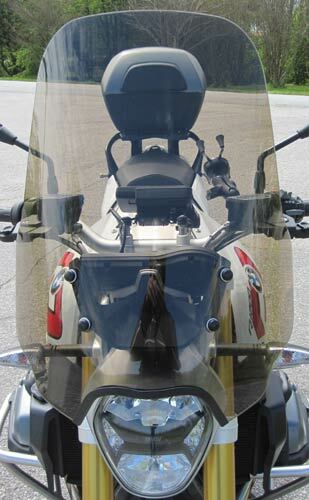 This windshield is for riders who like the convenience and size of a shield that bolts to the OEM windshield mount. This allows ease of swapping back and forth to the small OEM windshield but gives touring protection when needed. 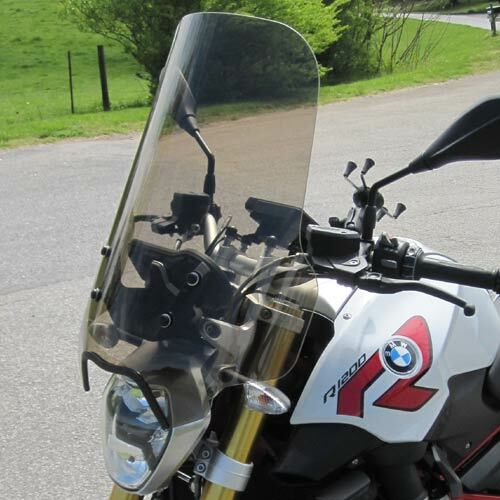 The Parabellum R1200R Replacement windshield is manufactured in the U.S.A. using 3/16 inch high molecular density military type cast acrylic for none yellowing Optical clarity. The shield measures 19 inches wide tapering to 16 inches at the top and is offered in several heights and clear or tint.